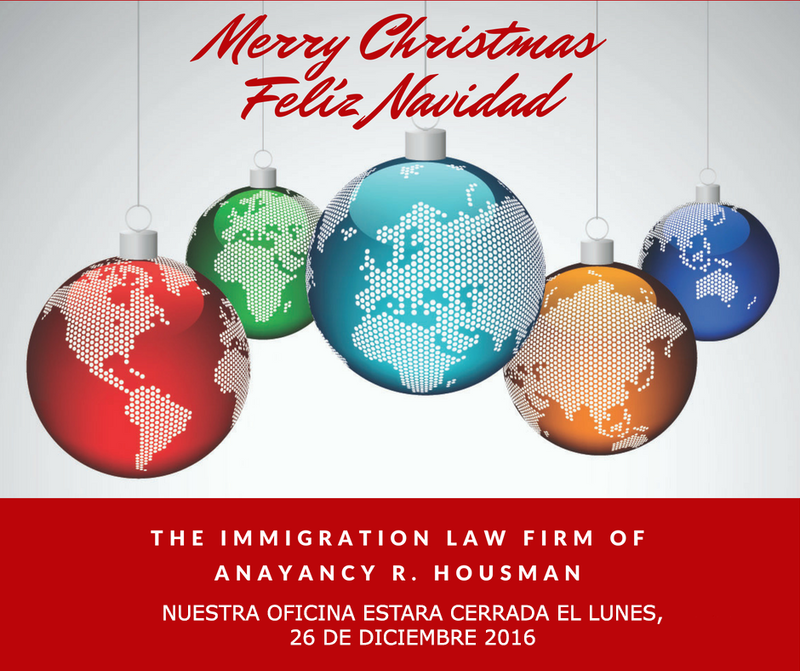 The law firm of Anayancy Housman provides legal assistance in all phases of immigration and naturalization proceedings, representation in deportation or exclusion proceedings before the Immigration Court, and assistance in any matter involving immigration and citizenship. We have experience with a wide range of cases, including family petitions (I-130, I-485); consular processing; religious worker visas; work permit requests (I-765); asylum (I-589); withholding of removal; the Convention Against Torture; Temporary Protected Status; the immigration consequences of criminal convictions (including 212(c), 212(h), and LPR cancellation of removal); fraud waivers (including 212(i) and 237(a)(1)(H) waivers); non-LPR cancellation of removal; claim preclusion; VAWA for domestic violence victims; U visas for crime victims; protections for informants; bond hearings; requests for prosecutorial discretion; requests for deferred action; requests for removal of electronic monitoring equipment; stays of removal; motions to reopen; and suppression motions after illegal immigration raids. We have experience in Newark Immigration Court, Elizabeth Immigration Court, New York City Immigration Court, the Board of Immigration Appeals, and the Third Circuit.